Gamekeepers Retrievers workshops are considered to be among the best of their kind. 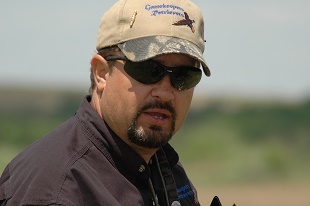 Mitch White is one of those rare dog trainers who is just as good with people as he is with the dogs he trains. Below you will find a short description of each available program. The workshops are particularly popular because we can customize those for any group. If you would like to organize a workshop or seminar as fund raiser for your club or as a tool to help your training group, feel free to contact us at mitch@gamekprs.com. Click here obtain information about our upcoming workshops and seminars! The Retriever Workshops are our most popular offerings. They are our most intensive, hands-on programs. The contents of each workshop is personalized based on the individual needs, goals and interests of each participant. If you want to develop a training plan to help you reach your next goal, have a problem area you want to address, or feel you need more work in a particular area to move your training forward, then this type of workshop for you. We evaluate where each dog/handler team is at in training, help them develop an individual training plan and teach each handler how to implement the plan to achieve success. Working spots in these workshops are limited so that each dog/handler team will get individual, intense instruction. Auditors are welcomed and encouraged. You will learn a great deal from watching other dog/handler teams work and Q&A is welcomed from all who attend. If you are considering a workshop, it is recommended you try to limit the subject matter by narrowing the scope of the program. For example, past clubs has hosted Basic Workshops (focusing on getting started), Transition Workshops (for that jump to Senior) or Advanced Workshops (Master/Field Trial Level dogs). Because of the amount of material, it is recommended that Advanced Workshops be a minimum of three (3) days. The Water Workshop follows a similar format to the Retriever Workshops, but it is all about the water. This program is designed to teach your dog different concepts in marking and blind work on the water. Many of the concepts taught in this workshop are the same ones utilized by judges when they are setting up tests. Mitch will use his judging experience to design water test scenarios. 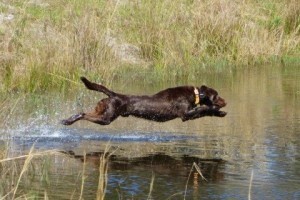 In addition, he will teach each participant how to develop their dogs marking skills in the water. 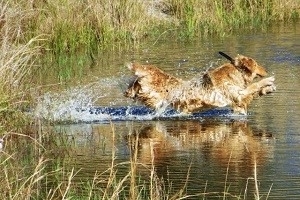 Novice dogs will get exposed to situations which arise in hunt tests and develop skills to overcome hazards such as decoys, submerged stumps, islands and crossing land points. This program will help to develop your dog into a more confident swimmer. Collar-conditioned dogs may participate in a De-Cheating drill which will aid the dogs as they advance in the AKC/UKC and breed club retriever test programs. Various water blinds will be covered ranging from sight blinds to cold Chinese water blind drills. Individualized attention will be given to all dogs. Working spots are limited and auditors are welcomed and encouraged. Watching each participant work through their dog’s problems is an invaluable way to learn how to handle similar situations as they arise in your own training after the seminar. Our newest offering, the Blind Workshop is designed to help handlers succeed in training and running better blinds. The focus of this workshop is solely on blinds and will only utilize marks as influence for blinds. During the seminar, working teams will perform various drills to improve lining, casting and handling on blinds. In addition, multiple types of blinds will be run each day. Blinds will be run that represent different levels of difficulty and each blind will be rated so that handlers may chart their progress during the seminar. In addition to yard and field work, discussions will be held on topics such as; how elements will affect blinds, understanding the mechanics involved in setting up a good blind and learning how to design good training blinds. Evaluating blinds at tests and developing a strategy for success will also be discussed. As with our other workshops, Working spots are limited and auditors are welcomed and encouraged. If you and your dog have not advanced to the point of beginning blinds, watching each working team being guided through various drills and blind work will help give you a greater understanding of why your foundation work is so important and will help you establish your goals for advancement. Now for something a little different. This is NOT your typical working dog seminar. This seminar is about set-up design for effective training and testing. It is geared toward educating the handler on using various design techniques to set up more effective training scenarios and on learning how to read a test scenario quickly to develop a plan for success. Mitch White is a licensed AKC judge and former UKC judge with over two decades of experience judging at all hunt test levels, as well as judging countless National Specialty and Regional breed club working title events. His experience has shown him that there is a real need to educate people on how to design effective testing and training marking and blind scenarios and to teach handlers on how to read these scenarios to discern the factors and influences that affect each element. The more thoughtful you are about the marks and blinds you put down for your dog in training, the more effective your training session. The effectively you can dissect the scenario before you at a test, the better able you will be to design a winning strategy to and earn a ribbon. This seminar is presented to help handlers, trainers and judges understand the mechanics and elements involved in setting up a training scenario for retrievers. While drills will not be presented at this particular seminar, some drill-like set-ups will be utilized. 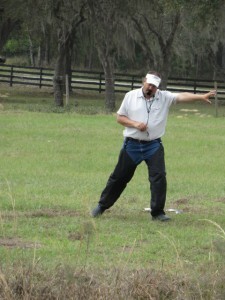 Different throwing patterns, bird placement and blind placement will be discussed in depth. Elements (terrain, wind, cover, etc.) that influence a dogs ability to mark will be covered. Participants will learn how to design a set-up for training and testing purposes and then each will be involved in setting up scenarios. Participants will have the opportunity to run their dogs on some of the set-ups that are designed by the group. This seminar is not about training methods. A limited number of dogs will be run on each set up for demonstration purposes. You may bring your dog, but it may not be selected to run the set-ups. If your dog is selected to run a particular set-up and is not successful, time will not be spent addressing training issues. The focus of the seminar will be on how the marks and blinds affected the dog’s performance. This program is limited to 20 participants. There are no auditor spots as everyone attending will be designing the set ups.